It's Writing Wednesday. In previous posts, we covered basic plot types. Here's another way of looking at plotting a picture book. 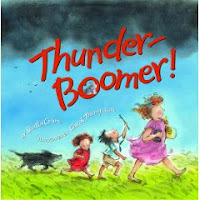 Author Shutta Crum has info about picture book plot structures on the Reading Rockets website. The slant is on teaching children to write, but the material is really meant for an adult to grasp. There is a lot to think about here. Understanding and using plotting give us a roadmap for our stories so that the end result is more satisfying. Check out her website, too. She has lots of resources and links. Thanks for the fabulous resource, Andrea! When I was teaching, this was one of my favorite ways to teach writing but now I think I could use these exercies as well.